Written on 6th November 2017. 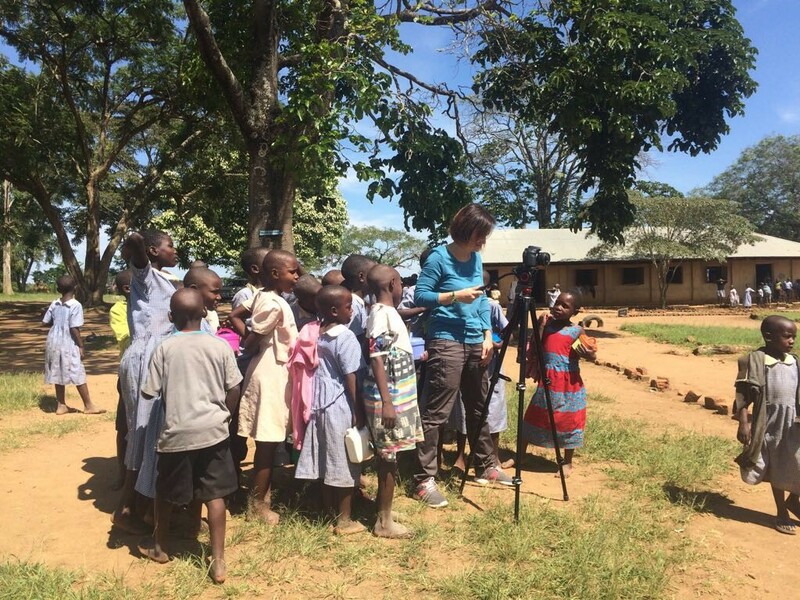 ShortsTV’s Head of Production (Stephanie Charmail) and Producer/Camerman (Maxwell Creed) are filming short films in Uganda on behalf of children’s charity, Lessons for Life. In this final blog post from Uganda, Stephanie writes about the last few days of their week in the country and reflects on the great work being done by Lessons for Life and Child Aid Uganda. So this is it: the end of our week in Uganda and we are at our hotel, celebrating a very successful adventure whilst a wave of nostalgia is already beginning to creep in. The second part of our trip began with a setback. Maxwell’s stomach failed him, which took him out of action for a day and a half. As he is our cameraman it posed a huge challenge for us, but after a war room type meeting, we managed to shuffle our super busy schedule around and keep going. It meant I had to become a camerawoman though! As a novice, I found the most fiddly pieces of equipment to be the tripods, which I constantly had to reset to adjust to the very uneven ground. And I’m crossing my fingers that we will have both sound AND image for each interview! We visited more primary and secondary schools, met more fascinating people, visited students’ homes and talked to their guardians/parents. One child we focused on was from a child headed household, having lost both parents to HIV/Aids at an early age. The local organisation pays for someone to occupy her home and look after the land whilst all the siblings are in school, enabling them to return during school breaks, and avoiding squatters or worse – their land being sold off by crooks pretending to own it. Here in Lyantonde, Child Aid Uganda (CHAU) and Lessons for Life are greatly respected. CHAU implements the education projects funded by Lessons for Life, and many of the students, teachers, headteachers and business organisations praise their work and value the difference they make in the lives of hundreds of children. The need remains great, but with such motivated and dedicated people on the ground, we are sure more lives will be changed for the better. In order to avoid support dependency and guide people to become self-sustainable, CHAU and Lessons for Life also support a few parents with a grant to start a small business. This in turn allows them to support their children through school without depending on the organisation’s funding. Throughout our time here, we have met and spoken to so many people of all ages. Young children, although quite curious and excited when we turn up with all our equipment, can become very quiet when it is their turn to be interviewed. None of their stories are easy to tell, let alone easy to ask about. But we cannot wait to start editing the short films we have made and to share them with you all soon!